My first experience with a steel drum band was an accident. I never knew there was such a thing as a steel drum until I attended a block party in the mid '80's. One of the neighbors, Nigel, was from Jamacia. He was a musician, playing out of his garage with more conventional instruments such as a bass guitar. Several people attending the party were being silly, fooling with his instruments, and playing with what we thought of as his musical "toys." Imagine our surprise when Nigel lifted down his steel drums and started playing calypso. I was no drummer, and in fact had never seen steel drums before, so I simply watched. After a while the music stopped, and Nigel got a round of applause for his efforts. 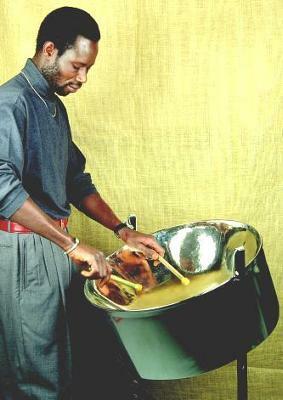 It was clear as he put away the steel drums that he thought playing the unlikely instrument was great fun. While I would not have the skill or the ambition to join a community steel drum band, Nigel certainly would have. Barry's Response - Thanks for the story, Carol. The best things you discover are by surprise.